Created by Boomslangnz, Ducon2016 & Spazzy. to add FFB to Daytona Championship USA and it grew from there to support several more games and rumble was added. - Jackchen for his Daytona Championship USA FFB work at beginning of year. - Everyone who helps and gives back to this awesome scene. Thanks for everything! games place opengl32.dll, SDL2.dll into Teknoparrot folder & FFBPlugin.ini into same folder as elf file for each game. DefaultCentering= **If a game does not specify its own Centering force then a default centering can be applied here. DefaultFriction= **If a game does not specify its own Friction force then a default friction can be applied here. Awesome and great work dude! However just a little clarification please....is this plugin beneficial or advantageous to those of us who ALREADY have working and proper FFB in Teknoparrot running games like Sega Racing Classic, ID7, ID8 and WMMT5? I run those games in TP and the FFB already feels like proper working FFB. How does this plugin improve on that? Well we use different game code for games compared to teknoparrots built in ffb so it's up to users to see what they prefer. Glad you got this out there. Hopefully I'll get to try it soon but atm I think my racing rig is inaccessible. Thinking of getting an old sidewinder just for afterburner climax. Cheers mate. I don't see OR2 on the list. Is support coming for it as well? Thinking of getting an old sidewinder just for afterburner climax. The old sidewinder wheel from that era was before there was any standard for handling FFB. Games had to be programmed specifically for that wheel. FFB in a game would only work with the wheel it was designed for and no others. I assume the old sidewinder joystick is the same way, so do your homework before blowing any money. Well the thing is, force-feedback on flight stick has seemed to have gone the way of the dodo. Even the really expensive sticks don't seem to have it. Honestly I'd be happy with just some rumble as I really only want to play afterburner on it anyway. I did ffb for San Francisco Rush on mame and it works pretty well, would some mame games interest you guys? It might be worth it to talk to whoever is in charge of mame atm and see what their thoughts on including some support would be. I've tried in the past, but they were a bit too picky in regards to the code layout and I lost interest. I've even got some ancient files for afterburner and a few of the missing sega games. If it's in mame as an output it can then be handled several ways.... mamehooker could just do it all, or it could simply pass the data along to your plugin, or the plugin could be modified to support outputs. yea id love to modify plugin to support outputs as that would solve me getting ffb data on virtua racing etc and would then support games for future etc. for san fran rush ive just got a static pointer which works fine but obviously wont work on any other build of mame right now etc. Is there any source code anywhere on how to recieve the output data from mame? Having FFB in Rave Racer would make me go from playing it once every couple of weeks to playing everyday If you can pull that off I'd be eternally grateful! Hard Drivin', Race Drivin', OutRunners, California Speed and the CruisN games would be cool too. I tried SR3 with this force feedback plugin. I enabled logging and the "hook"sound. this sound is played when starting SR3 so it seems to hook. In the log file I see it detected my Logitech G27 wheel fine. Still, I do not get any type off ffb during gameplay. Also, enabling rumble does not do anything. I don't feel anything. Thanks for helping. Log file attached. Just to make sure, you have Teknoparrots FFB disabled in Teknoparrotui? I also tried with Sega Racing Classic and got the same behaviour. It "seems" to run, but I don't have any ffb feelings. Do I need to modify something in Logitech profiler perhaps? Can somebody with a G27 wheel confirm to get it working ? I'm not sure what the problem would be if you have the 3 files in the folders etc and setup GUID number in ini, that's basically all that's required. Sorry I can't be more help, let us know how you get on, perhaps reinstall Logitech G27 driver software? Please read txt file for info before messaging that it doesn't work! I have a twin race cab, the other PC has the same issue. seems to work in logs but no ffb. Boomslang, could it be a driver issue for the g27? May I ask what version you have of the g27 driver and are you at latest win10 update? Think I use g27 5.10 driver. another day, another change lol, fixed the sfrush games as outputs were part of FFB address so fixed now as could of made FFB effects do unnecessary effects. Supports Sfrush 2049 TE now & Modified Rave Racer FFB code as was missing some effects eg jumps. Thanks for letting me know about this on my Rush The Rock video. I tried it out and it works great for me. I made a new video of it in action and how I set it up. This is awesome! Is rumble supported in all games on the list? Hey I'm still moving boxes around, but I was wondering if the rumble function works with xinput devices as well. 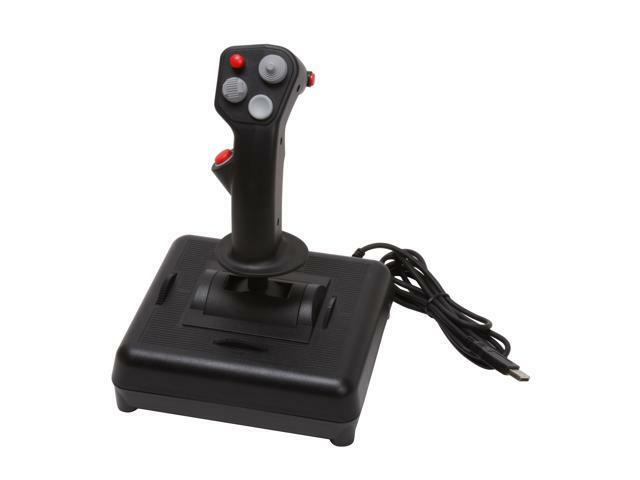 I've yet to find a modern flight stick with rumble, so I might Frankenstein a usb flight stick with a xb360 gamepad. I'm almost done adding a ch products flight stick to my driving cab, I was able to wire the pots in the flight stick directly to the right analog stick on an xbox 360 controller. Works very well. I have one rumble motor output going to a large motor that shakes the whole cab, but I was thinking I could use the other output and shove a small motor inside the base of the flight stick. But either way I think Afterburner climax would be rad with my large motor set up shaking the whole cab. Haven't had time to set up Afterburner with teknoparrot yet though. Cool. Which stick are you using? I've got a xb360 candy controller I was going to hack up for seat rumble, thought I could just plug into one of the motors for afterburner. Btw I thought about it and I figured the best way to power my big motors would be to run the motor signals though an audio amp for smooth analog control of the motor. Anyone tried that? Its the Ch Product F-16 Combat Stick, its very similar to the Ch Products F-16 Fighter Stick except the Combat stick has a more buttons instead of a bunch of POV hats. I bought the old serial version, there's actually a usb version but its much more expensive... Since I was hacking it anyway there was no need to get the usb version. Here's what it looks like. Daytona probably needs a full rebuild. It has more problems with it than just lack of ff. If Boomslang wants to add those features to his plugin though I'll be glad to send him any needed data. Page created in 0.226 seconds with 60 queries.